Going through the motions, simply stamping and signing, is not what your work as a Notary is about. As a commissioned state officer and public servant, you serve the public trust, playing a crucial role in law, commerce and everyday society. You are responsible for demonstrating levels of competency and integrity that spring from individual character. 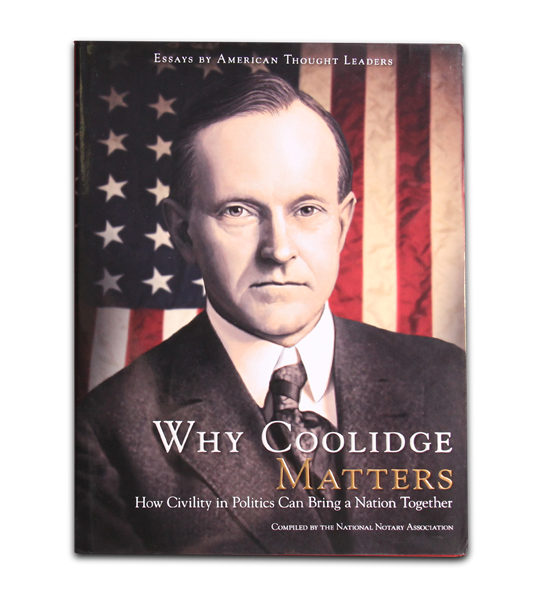 Explore a presidency built on the ideals of integrity, ethical standards and commitment to the people, and the compelling kinship between Coolidge and the very principles that define what Notaries do every day.